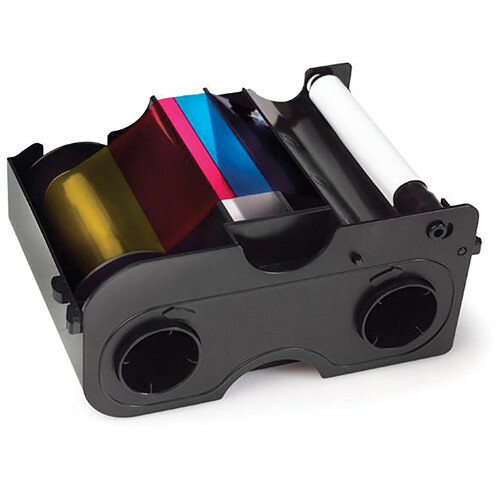 Produce up to 250 ID cards with your DTC1000 or DTC1250e series printer with the Fargo 45000 YMCKO Full Color Ribbon. It allows for full color printing with a protective overlay to ensure your cards will last. Additionally, this ribbon features an integrated cleaning roller. Box Dimensions (LxWxH) 6.3 x 4.35 x 2.65"